I’m generally annoyed by the cliché “If you’re not paying you’re the product”; Derek Powazek has explained why the implications of this statement are usually misleading and often wrong, something that is particularly problematic in the context of Aggregators. After all, if a company’s market power flows from controlling demand — that is, users — that means said company is incentivized to keep those users satisfied; it is suppliers that have to “take it or leave it”. This explains why the idea of an Aggregator being a monopoly is hard to get one’s head around; in the physical world where market power comes from controlling distribution — think AT&T, or your local cable company, or a utility company — there is no incentive to treat end users well, because users have no choice in the matter. On the Internet, though, where distribution is effectively free, alternatives are only a click away; Aggregators are extremely motivated to make sure that click doesn’t happen, which means giving the users what they want (the technical term is “increasing engagement”). Users are a priority, not a product. And yet, as is so often the case, clichés persist because there is some truth to them. Facebook and Google — the two Super Aggregators — make money through ads, and advertisers come to Facebook and Google because they want to reach consumers. From an advertiser perspective users — or to be more precise, access to users’ attention — is a product they are absolutely paying for. You’ll note that I’ve taken to using the term “Blue App” to distinguish Facebook the network from Facebook the company; the question, though, is what exactly is the company anyways? 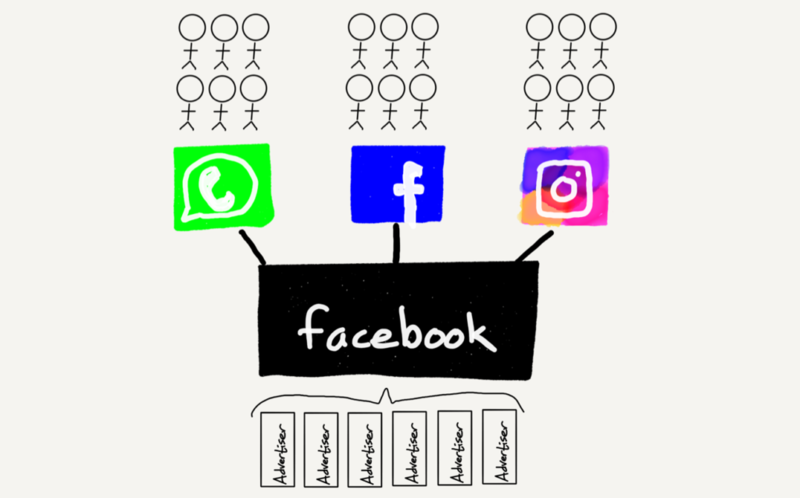 At a superficial level, Facebook is a sort of holding company for social networks; back in 2014 I called it The Social Conglomerate. That, though, is very much a user-centric perspective; to that end, if you consider the advertising perspective, you could argue that Facebook the company is an advertising dashboard and sales force. Those aren’t the only avenues through which Facebook collects data: the company has deals with multiple third-party data collection companies, gathering everything from web traffic to offline store receipts, and also has incentivized an untold number of websites — particularly content providers — to include Facebook links on their sites that collect data from those sites. Data comes in from anywhere, and value — also in the form of data — flows out, transformed by the data factory. Two weeks ago, in The European Union Versus the Internet, I argued that effective regulation of tech companies, particularly Super Aggregators like Facebook and Google, had to work with the fundamental principles of the Internet, not against them; otherwise, the likely outcome would be to entrench these Internet giants with little gain to consumers. Facebook’s ultimate threat can never come from publishers or advertisers, but rather demand — that is, users. 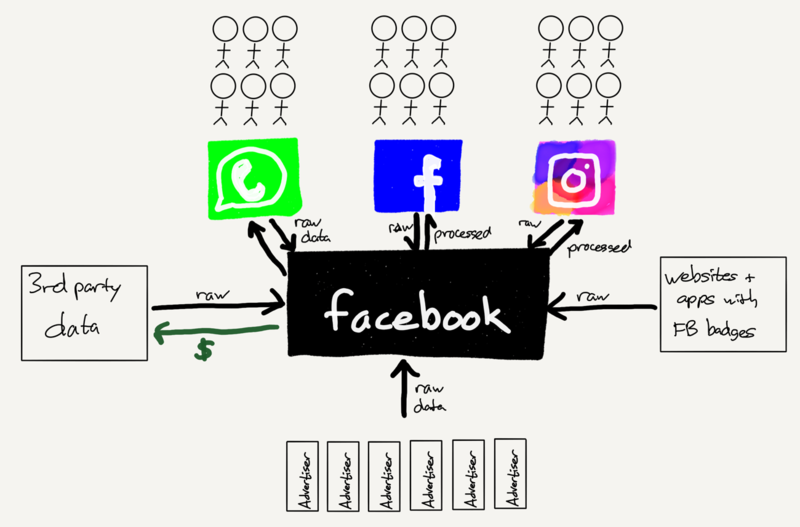 The real danger, though, is not from users also using competing social networks (although Facebook has always been paranoid about exactly that); that is not enough to break the virtuous cycle. Rather, the only thing that could undo Facebook’s power is users actively rejecting the app. And, I suspect, the only way users would do that en masse would be if it became accepted fact that Facebook is actively bad for you — the online equivalent of smoking. For Facebook, the Cambridge Analytica scandal was akin to the Surgeon General’s report on smoking: the threat was not that regulators would act, but that users would, and nothing could be more fatal. That is because the regulatory corollary of Aggregation Theory is that the ultimate form of regulation is user generated. What, though, does transparency mean in the context of enabling “user generated regulation”, and what might meaningful regulation look like that achieves the goal of forcing said transparency in a way that fosters competition instead of inhibiting it? 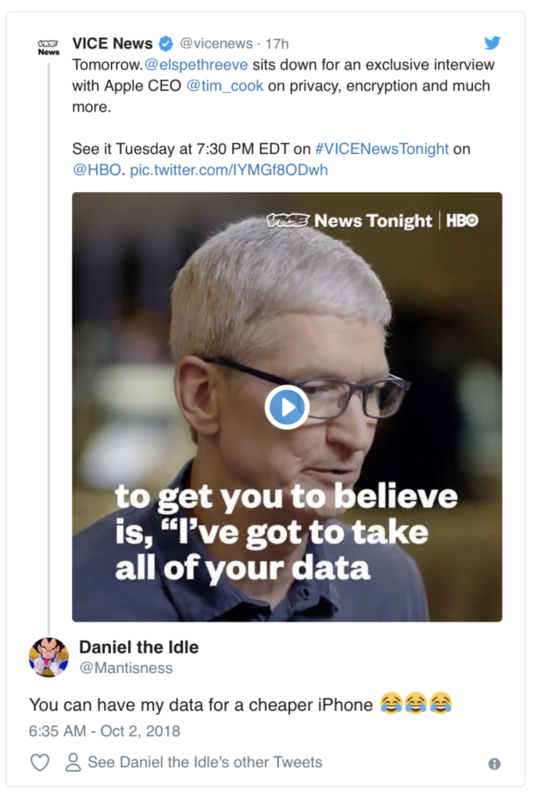 The answer goes back to data factories. The first challenge with a data factory is that it is impossible to peer inside. Both Facebook and Google offer customers ways to view their data, but not only is the presentation overwhelming, the data is precisely what you gave them. It is the raw inputs. Advertisers, interestingly enough, cannot download custom audiences once uploaded, but given that data is (also) their business, it is extremely likely that they retain the list of email addresses they uploaded in the first place; the same thing applies to 3rd party data providers. Websites, meanwhile, are completely in the dark: that Facebook badge or like button may provide a page view or two, but it doesn’t give any data back in return. That quote from the spokesperson is an acknowledgement of the data factory: Facebook doesn’t care where it gets data, it is all just an input in service of the output — a targetable profile. According to the Internet, this is the photo from Life Magazine. I could not find a copy to be sure. 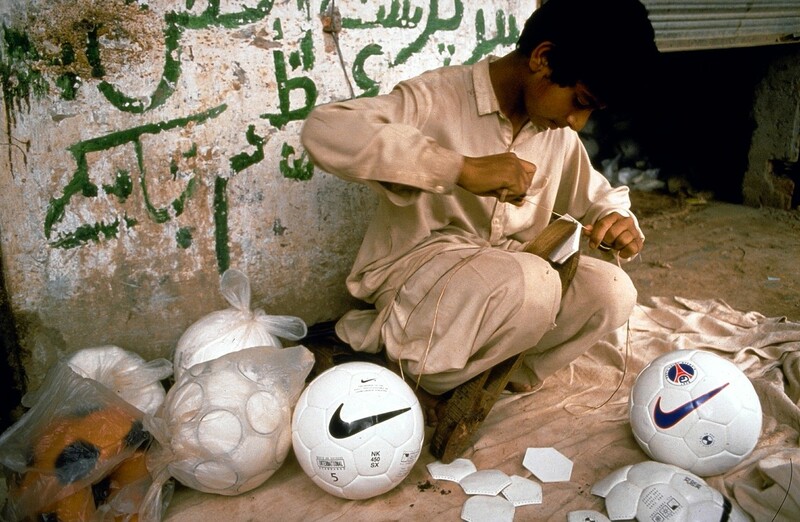 That image is from the June, 1986, issue of Life Magazine, which detailed how children in Pakistan were manufacturing soccer balls for pennies a day. Nike executives, in a refrain that is vaguely familiar, were initially aggrieved; after all, soccer balls were not inflated until after they were shipped, which meant the photo was staged. That was surely correct, and yet such a complaint utterly missed the point: Nike didn’t really care where it got its soccer balls, or shoes or clothes or anything else. It simply paid the factory owners and washed its hands of the problem. That photo, and the decades of protests and boycotts that followed, forced the company to do better. Unfortunately, while Nike could not stop a photographer from traveling to Pakistan (and, truth be told, stage a photo), the general public has no way to see inside the Facebook or Google factories — and this is where regulators come in. Frankly, I don’t blame the apathy of most users: what Facebook and Google and all of the other ad-supported services and sites on the Internet provide is immensely valuable. Moreover, I’m the first (and often only!) to defend personalized ads: I think they are a critical component of building a future where anyone can build a niche business thanks to the Internet making the entire world an addressable market — if only they can find their customers. At the same time, most users truly have no idea what data these companies hold. Might they change their minds if they actually saw the processed data, not simply the raw inputs? I don’t know, but I do think it is their decision to make. Moreover, establishing clear requirements that users be able to view not only the data they uploaded but their entire processed profile — the output of the data factory — would be far less burdensome to new and smaller companies that seek to challenge these behemoths. Data export controls could be built in from the start, even as they are free to build factories as complex as the big companies they are challenging — or, as a potential selling point, show off that they don’t have a factory at all. This is much easier than trying to abide by rules that apply to every user — whether they want the protection or not — and which were designed with Facebook and Google in mind, not an understaffed startup.